Get free spins for a year when you make a deposit of £50 or more at Slots Magic Casino. You'll get 10 wager-free spins for a week for the next 52 weeks! Deposit over £50 at Slots Magic Casino for your chance to claim hundreds of free spins over the course of the next year! Free spins are a staple at online casinos nowadays, but sites are finding new and more interesting ways to reward players. 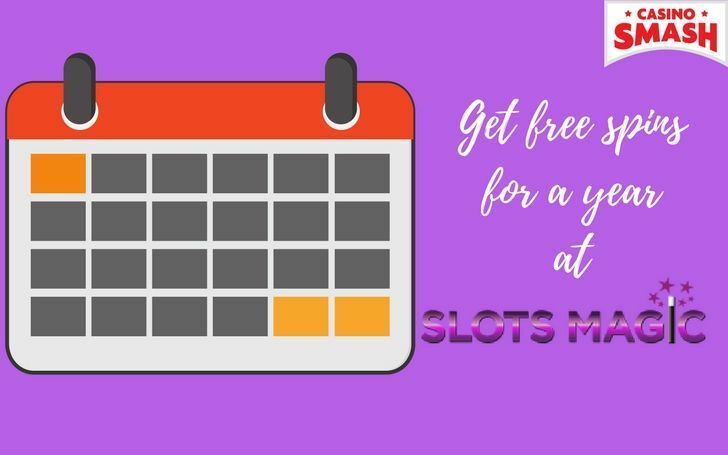 At most sites, you’re given a set of free spins as a one-off bonus – and Slots Magic is taking things 365 steps further by offering you free spins for a year! Players will receive their weekly free spins on either Thursday or Friday, and they must be played within 24 hours. The great thing about claiming free slots at Slots Magic Casino is that there are no wagering requirements whatsoever. This means that whatever you win is yours to keep! However, there is a £100 limit on your free spins winnings. This is just one of many impressive and generous bonuses available at Slots Magic Casino. 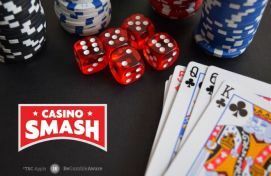 Every day, the site offers up Daily Picks, which allow you to select one of three bonuses to enhance your gaming experience. You can claim reloads and free spins every day, and it is up to you which bonus you prefer to take advantage of. Slots Magic starts awarding bonuses as soon as you sign up. On your first deposit, you’ll receive 15 free spins and 100% match bonus up to £50. This is a great way to get started playing at one of the best slots sites around! Bonus info: terms and conditions apply to the offer. If something isn't clear, have a look at our review of Slots Magic for the T&Cs in full. The offer on this article might have expired by the time you read it. Please refer to the review pages for the latest bonuses and promotions available.